If you ask us, we think the perfect craft room isn’t complete without a jar of Mod Podge (and an unlimited amount of fabric!). The all-in-one glue, sealer and finish is really like the Swiss Army Knife of the crafting world. 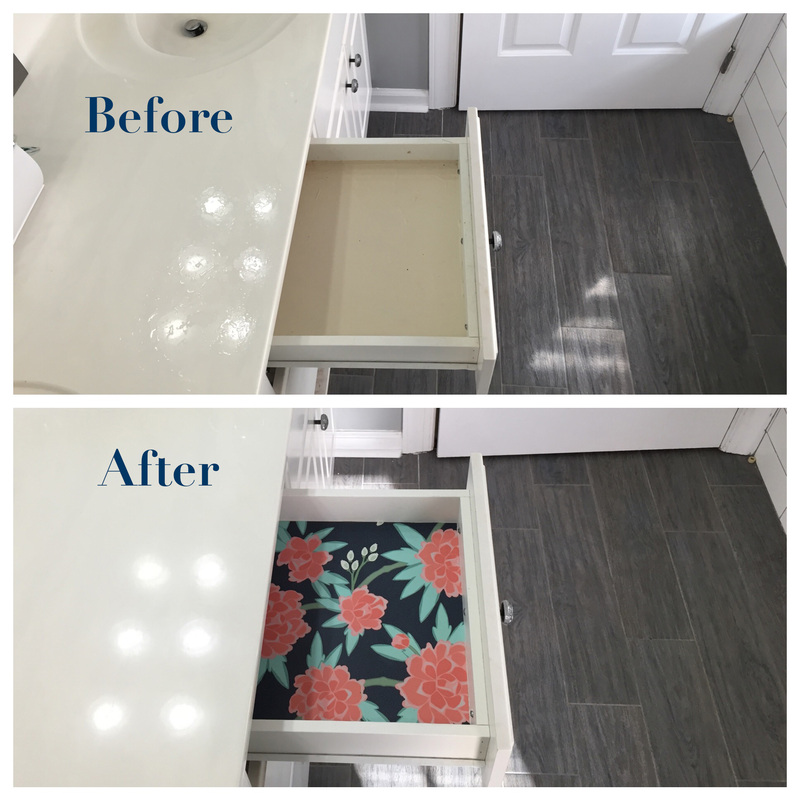 In just a matter of minutes, you can take a tired, old dresser from drab to fab or personalize a serving tray with your favorite photo memories. When paired with custom fabric, wallpaper or gift wrap featuring designs from the Spoonflower Marketplace, it’s safe to say the only limit is your creativity. 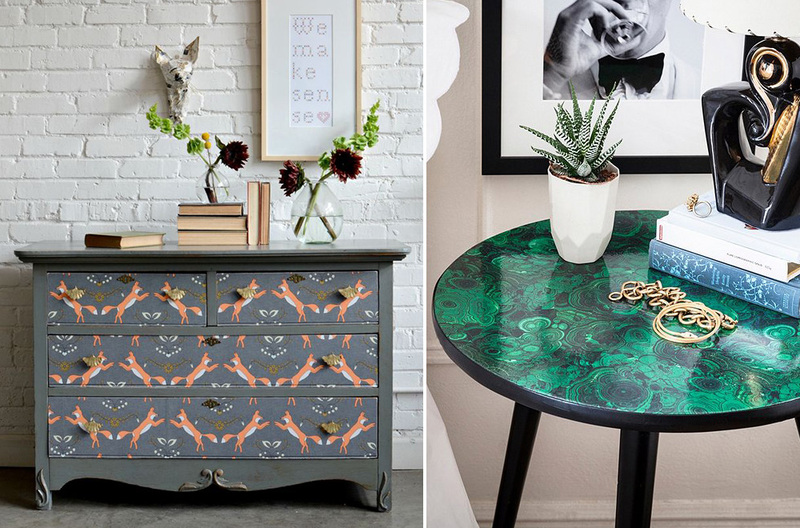 Get ready to think outside the decoupaged box with these six DIY projects. Some projects are born of inspiration; some are born of necessity. I encountered the latter when some cough syrup spilled in a bathroom drawer, and it was not about to scrub off the cheap off-white liner. And then I realized that cheap off-white drawer liner is not really a vibe I want in my space—so why not turn lemons into lemonade? Spoonflower’s Smooth wallpaper in this elegant Paeonia in Coral and Mint on Navy design by willowlanetextiles saved the day. 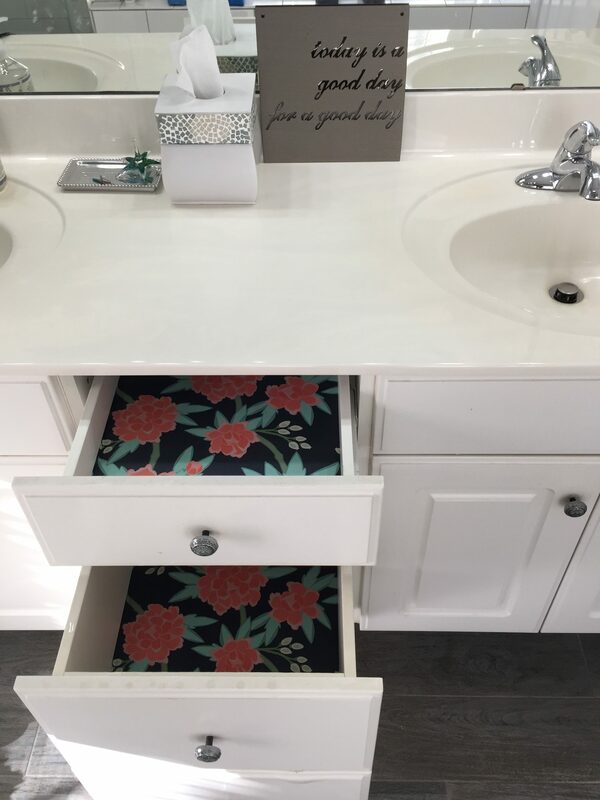 You could easily use Woven wallpaper and skip step 4. 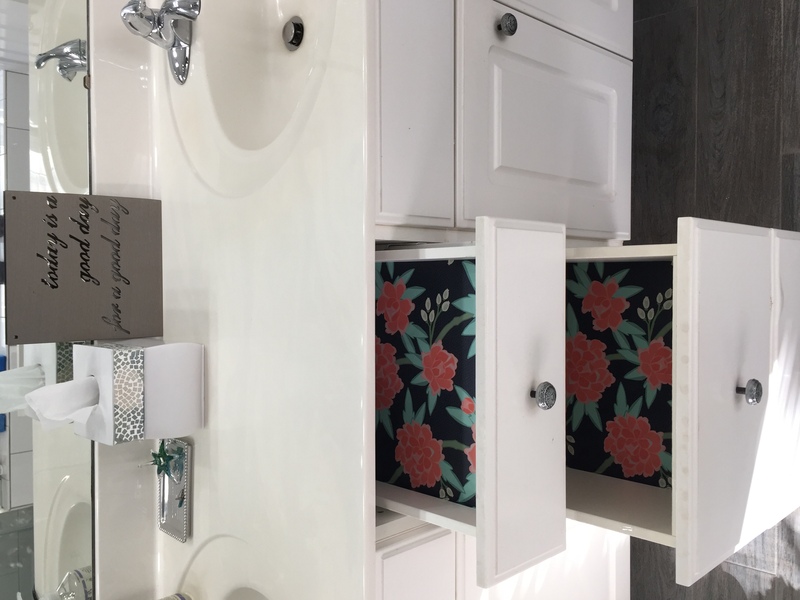 This is the perfect Saturday afternoon project: I was done with the whole thing in under an hour and thrilled with the results! Weekends are the best for getting started on a new DIY. This weekend, I’ll be playing around with our Woven Peel and Stick wallpaper. 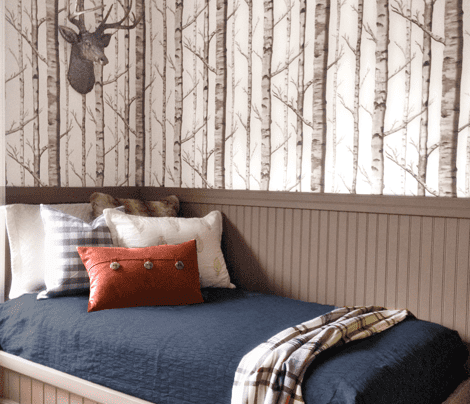 Do you have any wallpaper projects you’ve been itching to try? 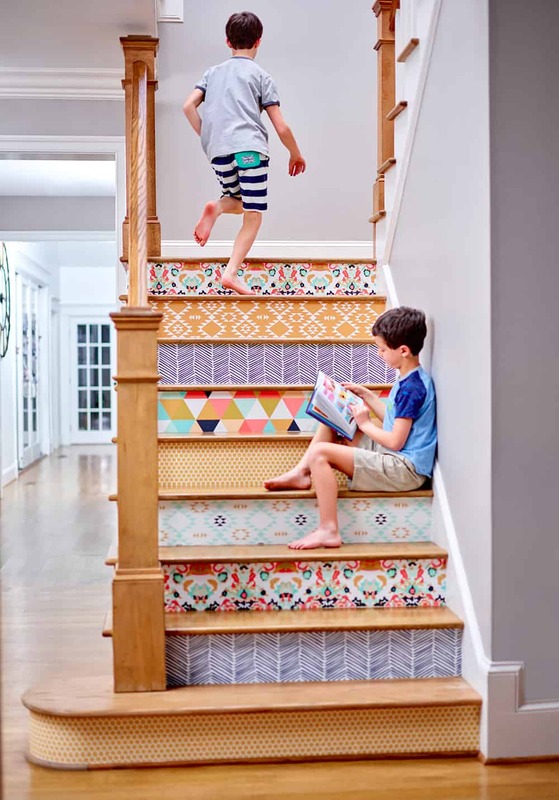 If not, check out a few projects we’re inspired by and head over to our Pinterest board for more wallpaper projects! 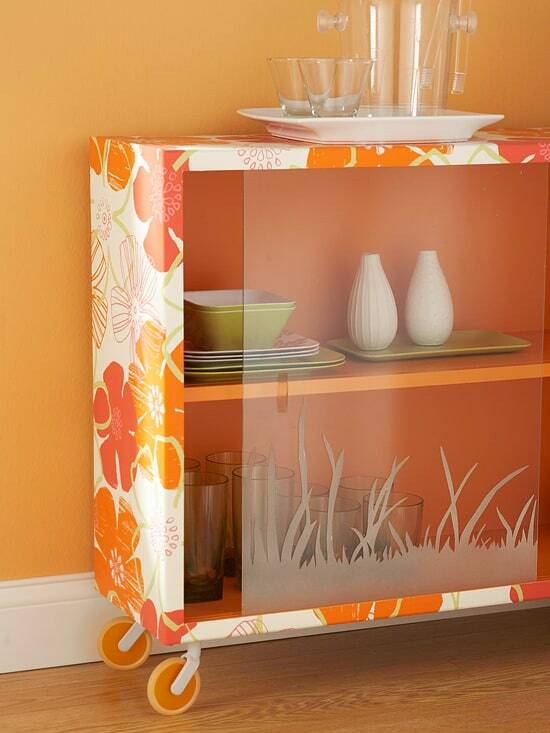 UPDATE your bar cart with some fun color! ADD an interesting wallpaper to your bedroom. 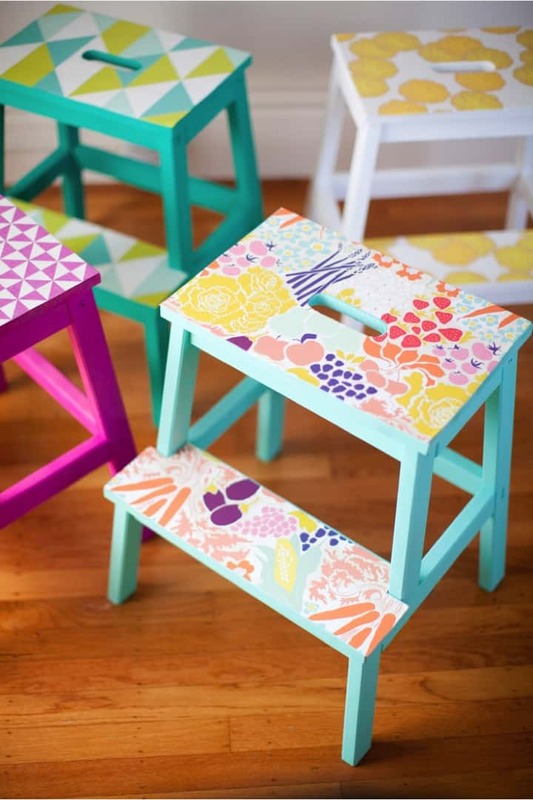 REFRESH a simple stool with a pop of pattern! 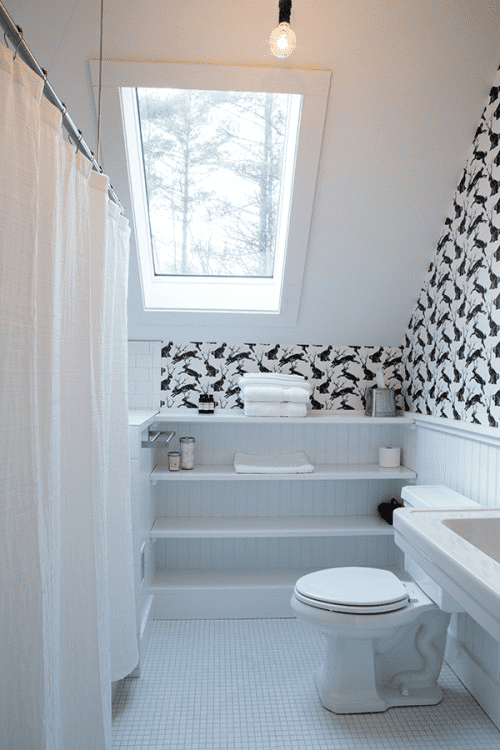 USE an unexpected pattern in a small space. 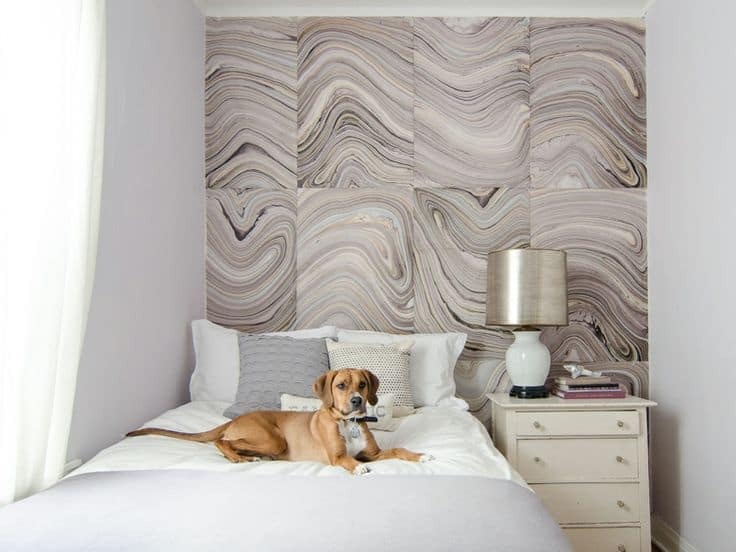 CREATE a headboard using marbleized wallpaper!